Product categories of Zirconium Oxide Abrasive Cloth, we are specialized manufacturers from China, Zirconium Oxide Abrasive Cloth, Endurable Abrasive Cloth suppliers/factory, wholesale high-quality products of Zirconium Oxide Emery Cloth R & D and manufacturing, we have the perfect after-sales service and technical support. Look forward to your cooperation! Zirconium Oxide has good resistance to melt erosion. As a kind of advanced abrasive, it can be made into high performance heavy duty grinding wheel. It has a good grinding effect on steel, iron castings, heat-resistant steel and various alloy materials. Abrasive Cloth is the cloth with grinding compound. According to the different grinding compound, the abrasive cloth can divided into four kinds: Aluminum Oxide Abrasive Cloth, Silicon Carbide Abrasive Cloth, Zirconium Oxide Abrasive Cloth and Calcined Aluminum Oxide Abrasive Cloth and so on. According to the hardness, it also can be divided into flexible abrasive cloth,middle flexible abrasive cloth and hard abrasive cloth. Some of them can do waterproof or oil-proof. 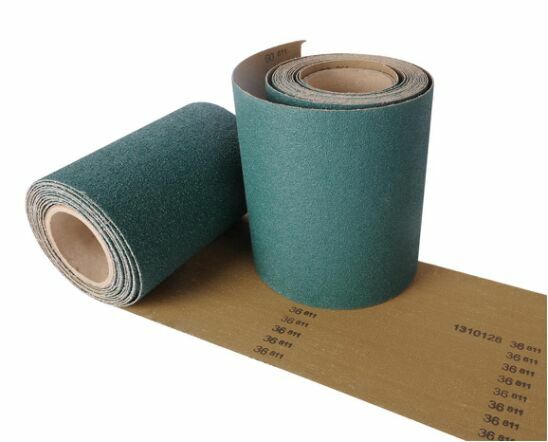 The shape of the abrasive cloth is roll, belt and sheet. The abrasive cloth is generally used for wood grinding and metal grinding. It can available in vary grits.